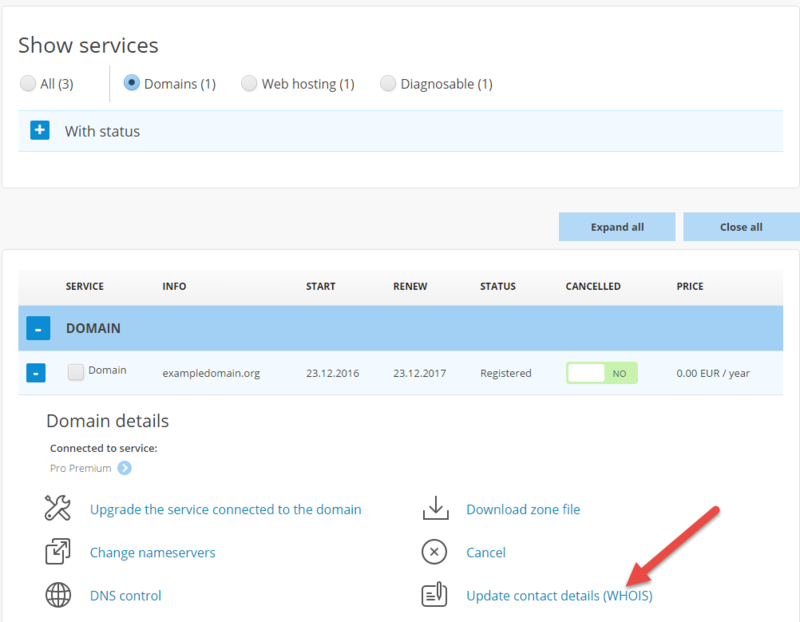 This guide shows how to edit WHOIS information for a domain name. 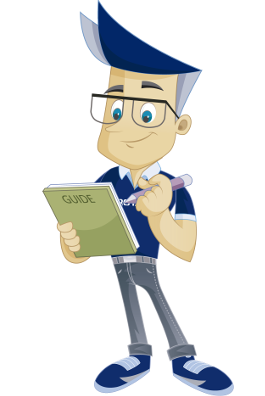 This guide assumes that you have already logged in to the customer portal with your customer number where you have ordered the domain that is being updated. Click on name in the menu. Find the domain you want to edit WHOIS for in the list. 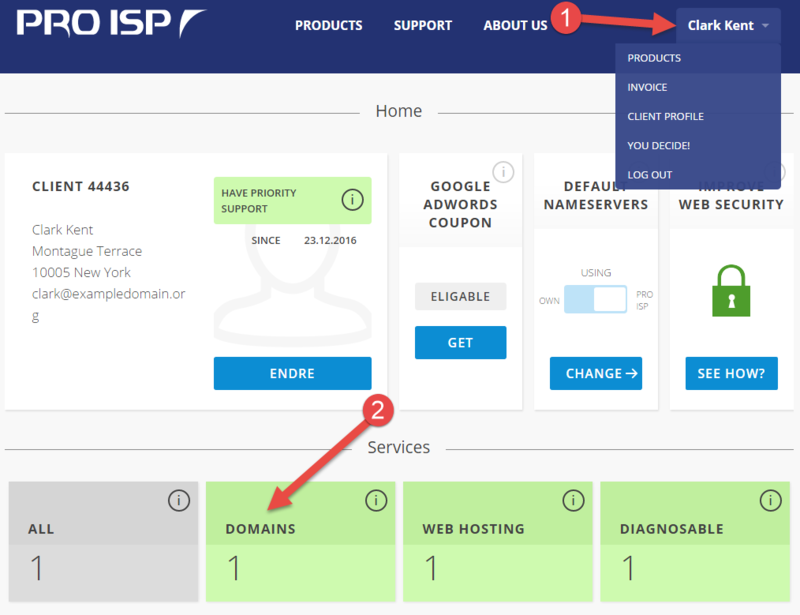 You can only change this for domains that has status "Registered". In this example we will edit WHOIS for dittdomene.net. 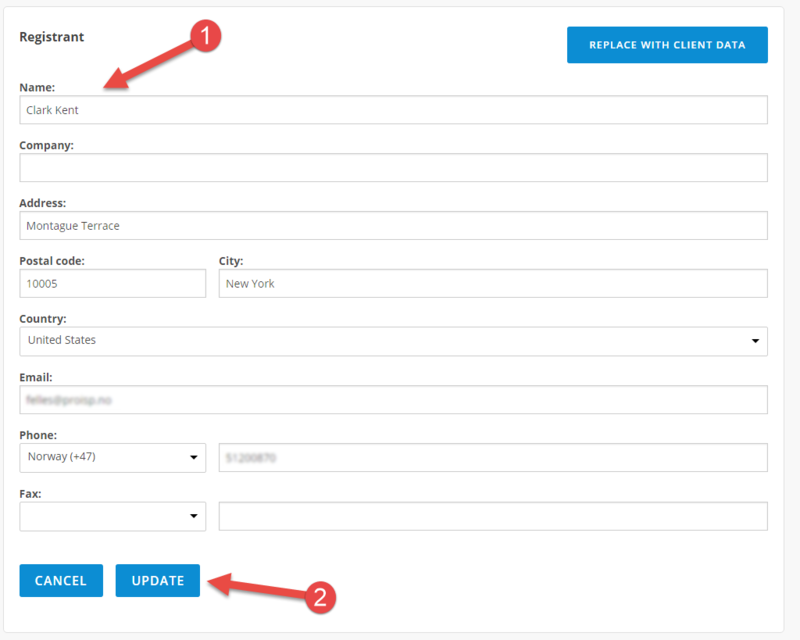 Choose "Update contact data (WHOIS)". 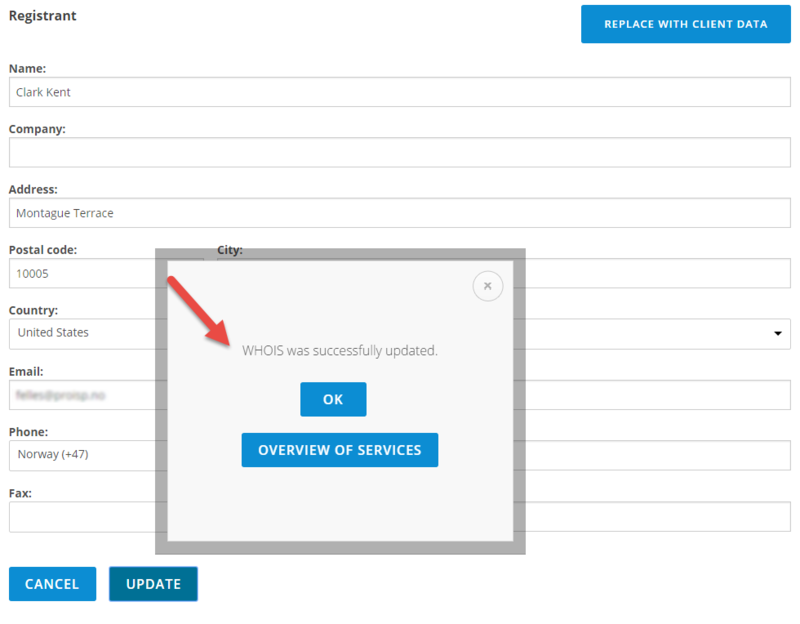 You will now be forwarded to a new page where you can change WHOIS for the domain name. Edit the information you want to make changes to. Click on "Update" to update the information in the actual register. If WHOIS has been changed you will get a message about this as shown in the screenshot below. We how now been through how we can easily edit the WHOIS information for a domain name.